Here in Overland Park, KS, there are plenty of dentists to choose from. So how do you find the dentist who’s right for you and your family? The team at Overland Park Dentistry put together this helpful list of things to consider when choosing a new dentist. Check each item off the list to make the best decision in your new dentist. If you’re moving, ask your current dentist to make a recommendation. Read online reviews to see if actual patients have had positive or negative things to say. Different people want different things from their dentist. Take the time to research and make the right choice. Are you looking for a larger practice that sees a high volume of patients so they can get in and out quickly? Do you prefer a family-oriented practice that caters to kids over other amenities? Are you particularly fearful of dental visits and adamant about the option of sedation dentistry? Does the dentist takes your insurance or are they in your network? You want to make sure your visits will be covered by your policy. 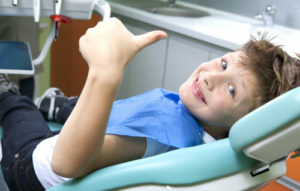 Dental work can be expensive and you don’t want to find out by surprise that your root canal and crown aren’t covered. Is the dentist in your network? Know your dental health benefits. Dental HMOs, for example, limit your choice of dentist to a member of the HMO network. If you have a PPO plan, visiting a network dentist can make a difference in your copayment levels. Proximity and ease of access are important factors to think about. Do you prefer a dentist location near your workplace or your home? If it takes 45 minutes to get to your dentist, is it really practical? How flexible can you be when it comes to scheduling appointments? Do you need your dentist to have office hours on Saturdays? How far in advance do you need to set an appointment? Interview your dentist or the dental practice. Just give them a call and ask a few questions. Where did the dentist attend school? How long they have been practicing? What type of dentistry do they do? It’s important to feel comfortable with your dentist on a personal level. Just like medical doctors, dentists have a bedside manner. Will you be able to explain symptoms and ask questions comfortably? Could you ask for pain medicine, express any fears or anxiety, or ask questions about a procedure? Go to the dentist’s office and see what it’s like. Only an actual visit will give you the answers to these questions. Is the tone down home or hi-tech or somewhere in between? Do you prefer an office with TV monitors that let you watch movies while you wait? Do you want the latest and greatest equipment and technology? How child-friendly is the office? Choosing a dentist can take a little time and effort, but it will pay off in the long run when you’re happy with your dental care. We hope you choose Overland Park Dentistry. Please call us and we’d be happy to answer any questions you may have about our practice, services, insurance plans, etc. We’d like to be your Overland Park dentist. Call our South Overland Park office at (913) 647-8700 or our North Overland Park office at (913) 341-2380.